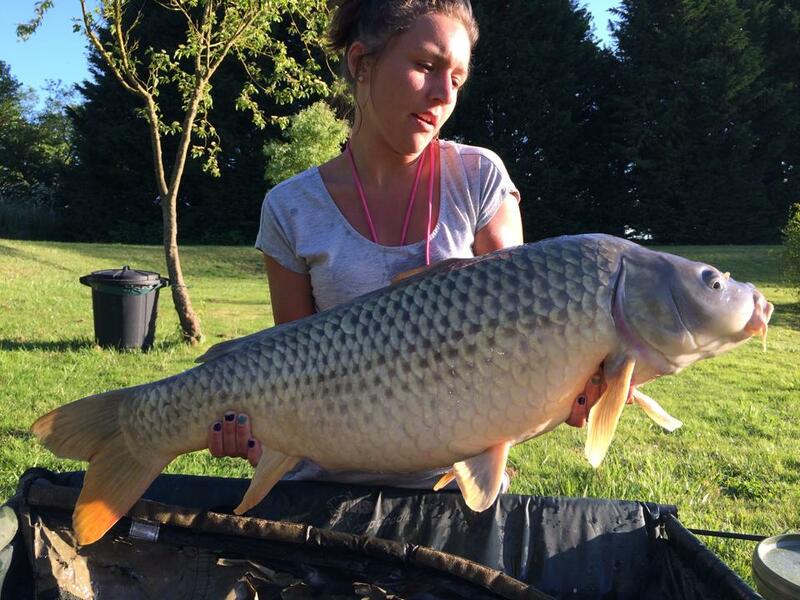 Carp fishing in France with accommodation. with a charming lakeside chalet and family lodge for rent. 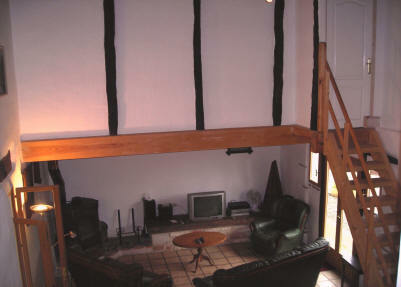 "NEW" Hunters Lodge, a seven bedroom converted barn 20 mins from Smallwater lakes. 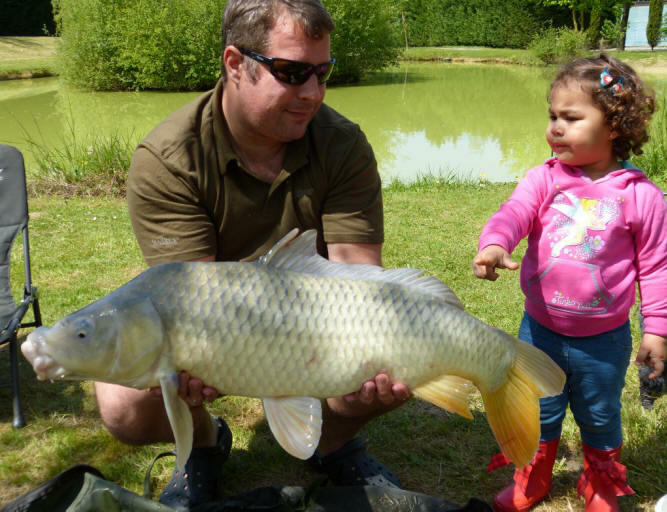 You don't have to be a serious carp angler to enjoy Smallwater lake or the new Lodge lake, they are both ideal carp fishing lakes in France for all the family, with lots of good quality fishing for everyone. Anglers who fish in France at Smallwater carp fishing lake or the new Smallwater Lodge lake do not need a fishing licence or permit to catch our fish. 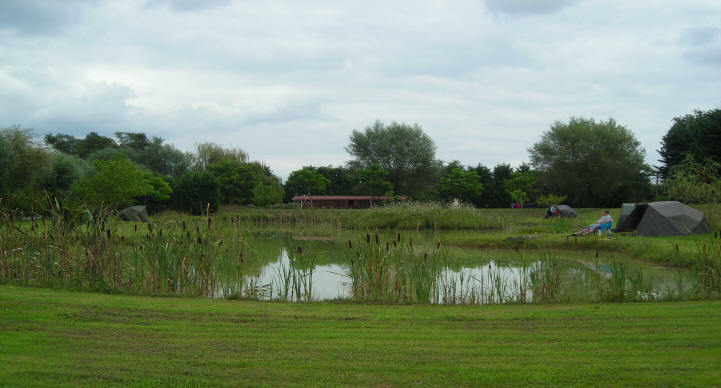 They are privately owned carp fishing lakes which means that you can also go night fishing, just pitch your bivvy by one of the lakes. 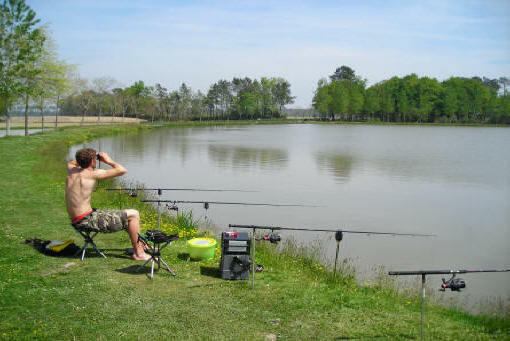 Our French carp fishing venue & the luxury holiday accommodation is totally private and secure. We have a selection of carp bait for sale and carp rods, reels etc. can be hired by the day. We also have a minibus airport pick up service, plus free bicycle hire if you fancy a change. in the sunny but green Aquitaine region at Smallwater lakes. for up to six anglers in the lakeside chalet. Thats less than £67 per week each !! if both holiday properties are rented together. There is a special offer of a 10% reduction if you rent both properties. A holiday deal of 16% off, for couples staying in the Lodge during peak season. Plus all returning customers get a 10% discount on top of any other special offer. You can also book your fishing holiday securely on line and pay in any currency. by looking at the availability calendars, both are always up to date. 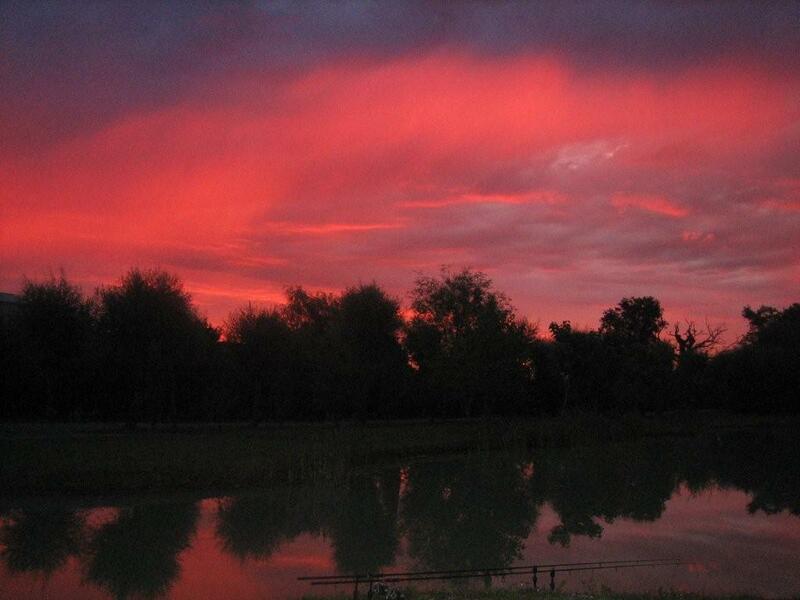 dream carp fishing venue set in the perfect location and a little peice of heaven. Winter holidays, Easter holidays and Summer holidays. that is also wheelchair friendly). or are new to fishing, we are offering a free one hour tutorial. the lake side chalet or the family lodge. We do not sell day tickets, seasonal or venue tickets. idyllic holiday retreat in the beautiful and rural French countryside. enjoyable , peaceful , relaxing and fun holidays that you will ever have. 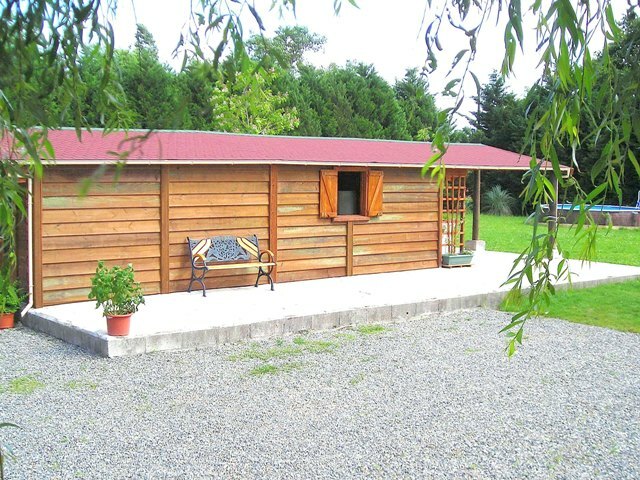 or the spacious four bedroom house, the family fishing lodge, "La grange". in the rural Landes department of the South West of France. plus large bream, big tench, almost record perch and black bass etc. just 10 minutes south of the old roman spa town of Dax. 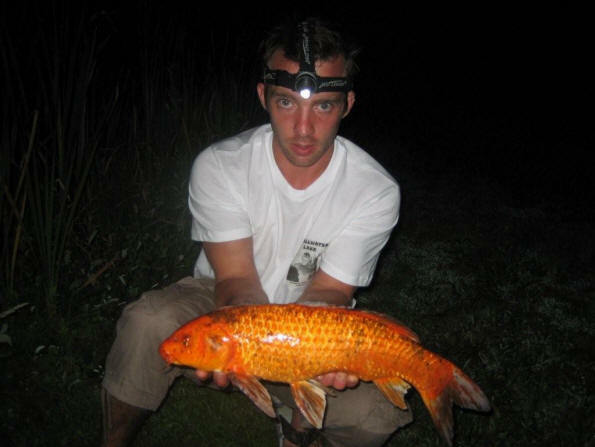 even if you don't go fishing for free in the beautiful carp fishing lakes. while the food cooks on the bbq. with its monster carp , pike , zander and black bass. with its international airport, beautiful coastline and wonderful surfing. 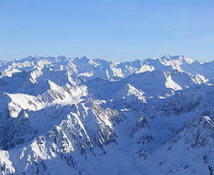 excellent for hiking in the summer and it's winter ski resorts. 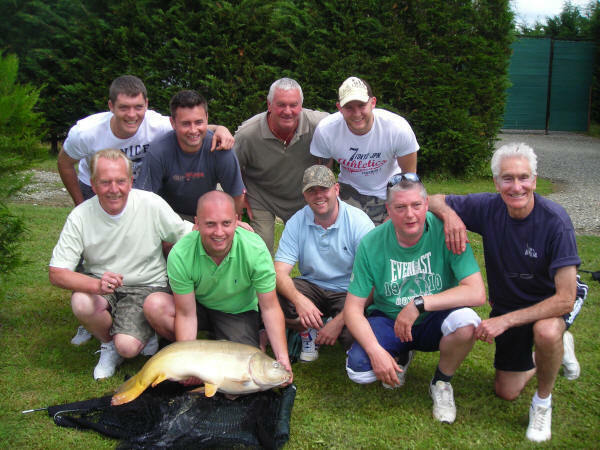 Thinking of a Carp fishing trip to France ? and the luxury holiday accommodation. every minute of this fantastic fishing holiday. 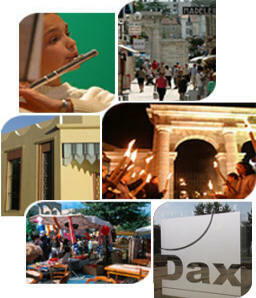 Please take your time to have a good look through the pages of our website. such as Tench and Perch, which are both present in Smallwater lakes at possibly record weights. why not have a go at some of the online fishing games that we have downloaded especially for you. And there's more for you to do on holiday than just fishing, if you want. during your stay at Smallwater lakes in France. Choose one then click OK to have a look. Choose one Cycling Hiking Golf Surfing Canoeing Kayaking Skiing Parks Beaches Riding <<Other activities near Smallwater fishing lakes in France. It's time to escape the hectic pace of everyday life and nothing compares to a holiday retreat into the alluring French countryside of the south west of France for a wonderful activity holiday. Known for its fine food, wine and calm pace of life, France is also a fantastic place for a full on family adventure holiday, packed with lots of activities. 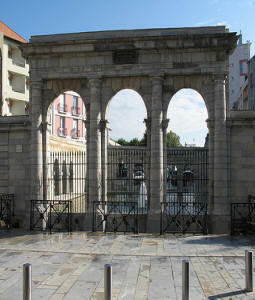 The Pyrenees mountains, famed for their many rivers, caves and waterfalls, offer a host of activities, including walking, hiking, rock climbing, abseiling, mountain biking, rafting, canoeing, kayaking, Game fishing, carp fishing, trekking, skiing, horse riding etc. The Atlantic coast with its fine sandy beaches and extensive pine forest offers surfing, wind surfing, paragliding, Jet skiing, cycling, horse riding, golf, fishing and some great water activity parks. As you can see the local area near Smallwater lakes in France has something for everyone, whether it's adventure with your friends, quality time with your family or just relaxing by the carp fishing lake in the sunshine. You choose what you would like to do with your time here in France and we will try our best to make sure it happens and that everyone has an unforgettable fun holiday. 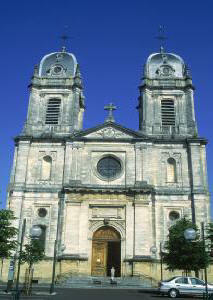 If you are interested in any kind of leisure or fitness activity, the Aquitaine region of France has it all. 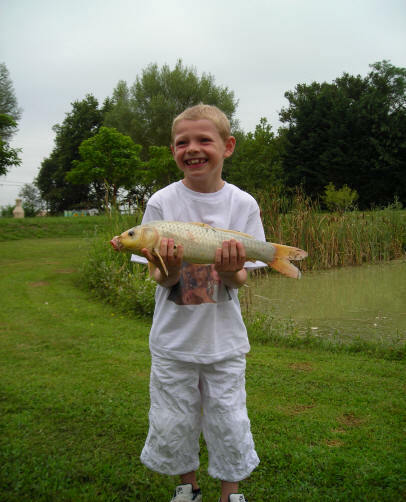 Whether you are staying here on a self catering holiday in the lodge or chalet, fishing for carp or on a action packed Activity Break, we will do everything we can to ensure you have a great holiday here in France. Smallwater lake chalet or the family lodge will be your "home from home" while you are staying in France. Each house offers private self catering accommodation, or can be rented together for a large group or extended family of up to 14 and possibly more because there is plenty of room for tents and bivvies on the 5.5 acres of private grounds. Click on the choose one button above and click OK to find out more about the other activities in the area near our luxury holiday accommodation at Smallwater lakes in France. e-mail : Shane & Rula,( smallwaterlakes@hotmail.com ) To contact us click here.